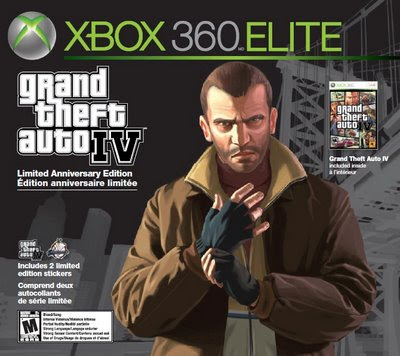 Canada is about to get a sweet new exclusive Xbox 360 Elite Console bundle featuring the blockbuster mega hit GTA IV. This bundle package will be available the week of May 2, 2009 and will only be available in Canada. The Xbox Elite bundle comes with a black wireless controller, Xbox 360 HDMI cable and Xbox 360 Black Headset, GTA IV Xbox 360 Game, 400 Microsoft Points and two limited edition GTA IV stickers. The complete package will retail for $399.99. Keep your eyes peeled, May 2 is only two days away. Hmm, well it looks like the street date was broken then. Out of curiosity, what store did you see it at? Can Wolverine Break the Movie License Curse?